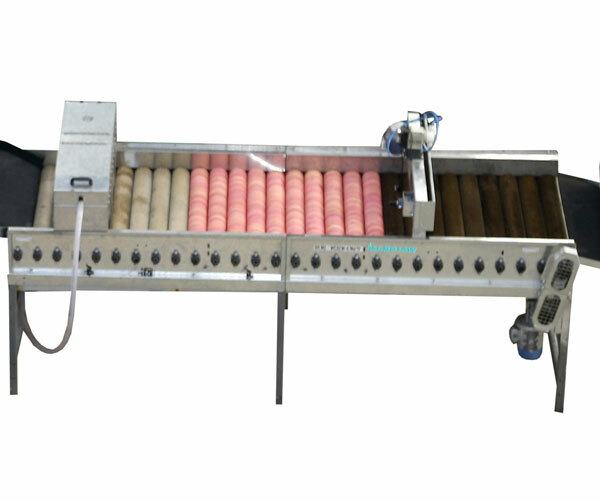 Consisting of PVC Roller made of food grade material. PVC roller rotates on its own axis and at the same time moves forward. Workers on both sides of the machine inspect damages and rotten products. 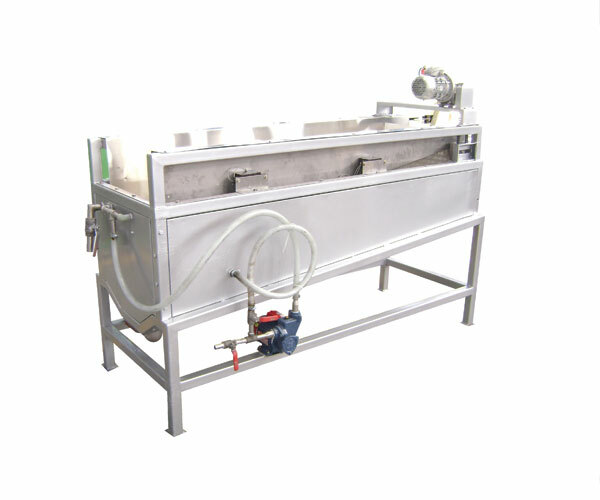 It is used for washing and sponging of fruits & vegetables. 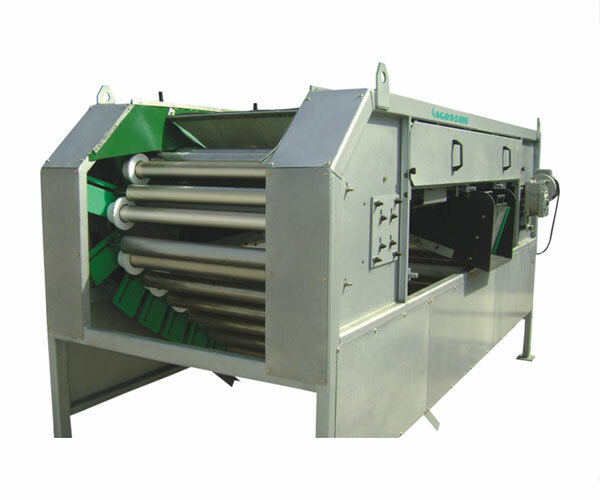 It is fitted with nylon bristle rollers for washing purpose. 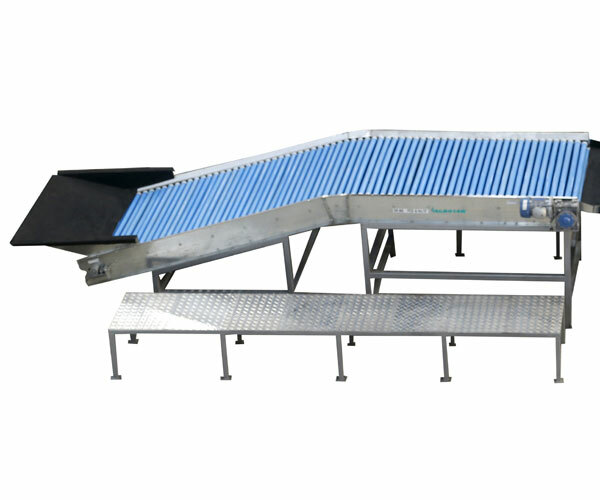 Product is let into the bristle rollers from the sorting conveyor. 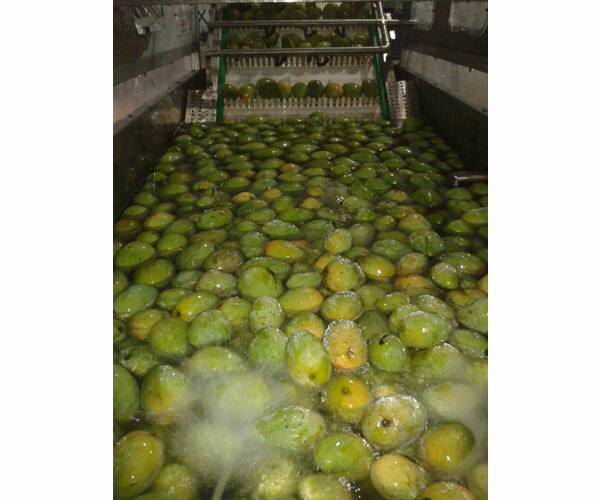 A number of fine pressurized water jets wash the tumbling and rolling fruits. The bristle rollers gently rub the surface of products and clean them properly. These fruits then pass through sponging rollers made of high absorbent sponge. It is used for the treatment of mangoes. Mangoes are dipped in warm water (50°-60°Celcius) for three minutes. 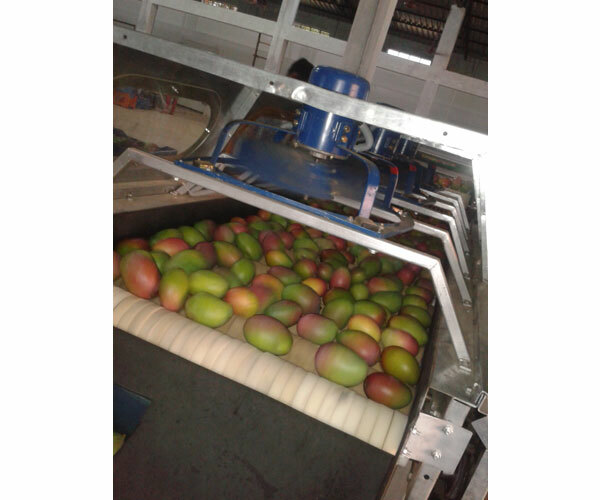 It stops bacterial growth inside the mangoes.